There are many Young Adult novels with romance as a strong subplot. However, the male and female protagonists’ behaviour towards each other sometimes leaves you simply wondering ‘What kind of mental damage do they have?’ The whole ‘saw you with another girl/guy quarrel and disagreement’ or ‘misunderstanding each other over little matters’ often peppers the plot in longwinded arguments; giving incredible anguish to readers such as myself since I can’t seem to put down the book despite the flaws. Sobs. Ahem. That totally did not happen. 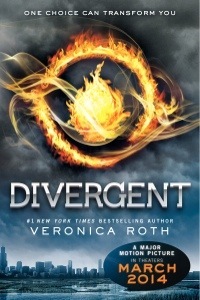 In ‘Divergent’ the first book in the Divergent series by Veronica Roth, we are introduced to a dystopian world set in the future where people live divided into five factions which each represent a different value. After being given an aptitude test, every sixteen year old is given the choice of staying in their original faction or choosing another they wish to follow; be it Abnegation which values selflessness; Candor which values the truth; Erudite which values knowledge; Amity which values peace; or Dauntless which values bravery. Together with the female protagonist Beatrice Prior, we discover there are people who do not exactly fit into any of the factions. They are called Divergent and live in fear of being exposed. Not only does she have to keep this secret, Beatrice also must pass the Dauntless initiation test or risk becoming factionless. That is a synopsis which can be easily gotten online or from someone who has read the book. However now I shall explain why exactly you should read this book. She is not one of the heroines that have endlessly long mooning and dreaming sessions which well… *gags*. Beatrice is the girl (or guy if you are picky about such statements) that we all feel is – imperfect. Yet the transformation she undergoes while retaining her likeability makes you feel, ‘I so totally can be like her in her situation’! Though when reading the training and fighting scenes… okay maybe not. He is so hot!!!!!!! Ehehehe 😀 Actually, that is all you need to know about him but I shall make an effort. Often you get these stupid boys in romance books that cause such pressure and trouble for the female protagonist. However, their relationship actually is described and portrayed realistically AND yet he is still hot. Divergent does not start off deep and meaningful yet it draws you into the world that has been created. Before you know it, you have fallen for the characters and the world they live in – leaving you wanting for more. It is then you notice certain truths about human characteristics and psychology which draws you even further in. Best of all, the movie would start screening in cinemas this 21st of March. So go borrow this book now and start reading!